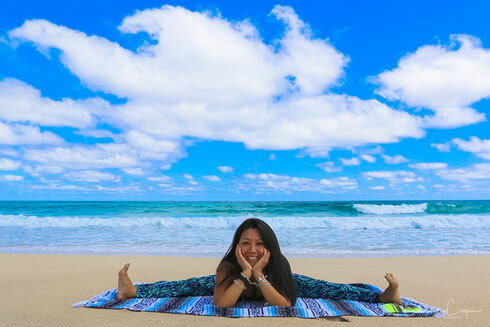 PROFILE プロフィール - Love Hawaii ~Hau'oli Yoga & Healing Life! Moved in Hawaii in 2008. She has strongly connected to Ashtanga yoga since she tried it first time here, has moved her focus from dance to the yoga world. Besides teaching yoga, she has been doing yoga trasnlator and receiving great feedbacks. As she used to work for Hawaiian Kahuna Healer as the translator, she also has connection to the healing industry such as lomilomi massage, blessing. She herself has studied and took massage therapist certificate in 2014. She offers various services as the private guide as well.